We’ll also be holding Kids Après everyday during March Break this year. Hope to see you and the kiddies joining in on the fun! 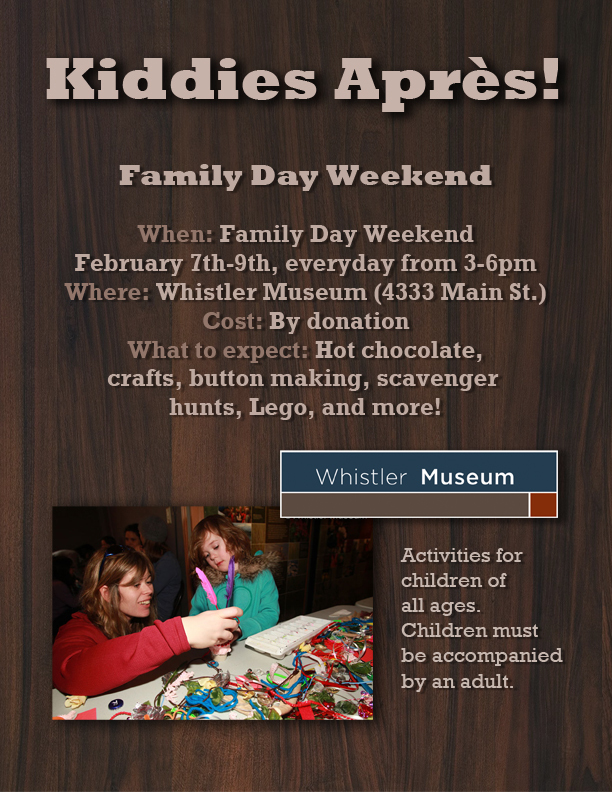 This entry was posted in News & Events, Recreation and tagged crafts, Kids Apres, LEGO. Bookmark the permalink.